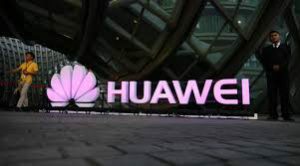 BEIJING – As the world gears up for this year’s Mobile World Congress (MWC) starting later this month in Barcelona, Spain, Huawei has now confirmed that it will unveil a high-end foldable 5G smartphone at the mobile show. In a morning tweet today, Huawei said it will launch a foldable phone at MWC 2019 on February 24. The device details are largely unclear, but the teaser image shared speaks volumes of the innovation. The Chinese company keynote is scheduled for Sunday, February 24, at 2PM Barcelona time.